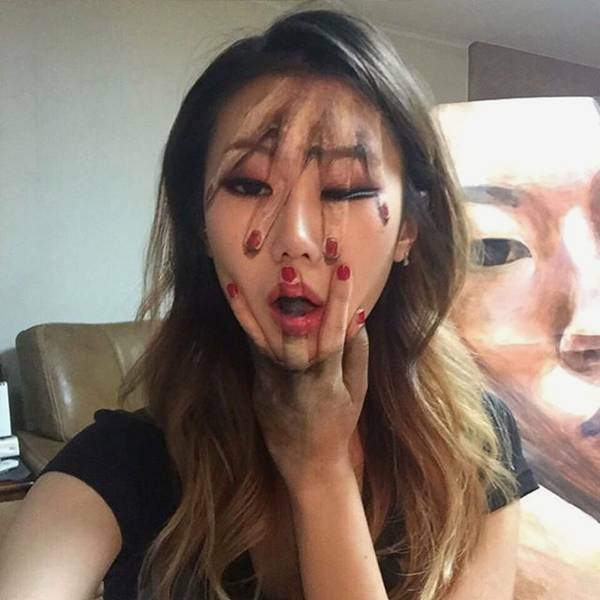 Confusing painting on the artist's face. Amazing Visual illusion art, isn't it? 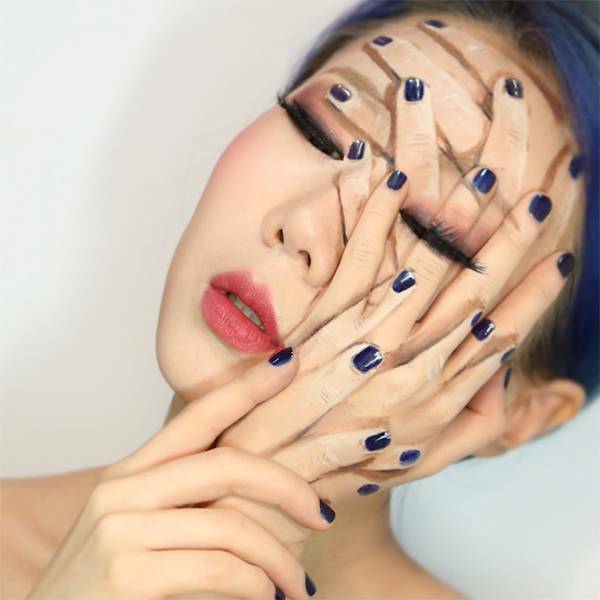 Dain Yoon is an illusion artist from Seoul, South Korea. 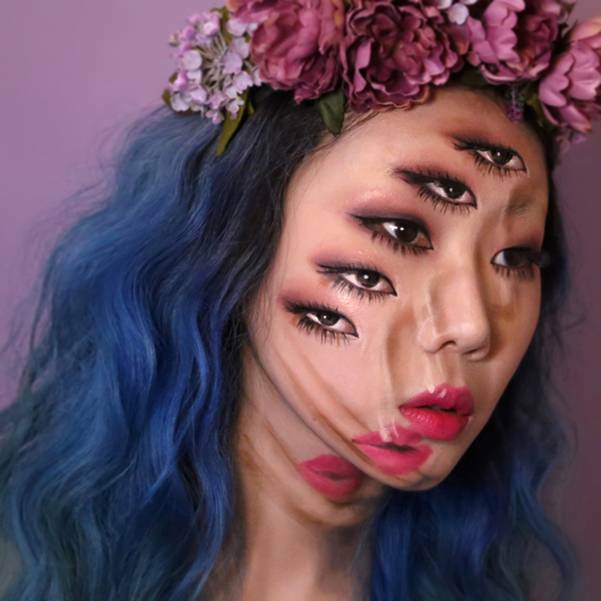 She does amazing body and face illusion paintings on herself. 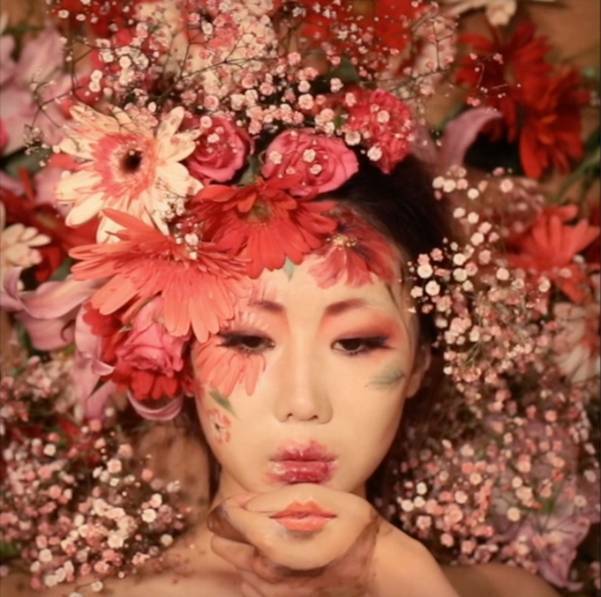 Although the art looks as if they are done using computer graphics, but they are actually real paintings on her own body. She creates such a perfect illusion of eyes, lips and face that can make anyone gazing feel dizzy or freaked out. دين يون فنانة إيهام بصري من سيول، كوريا الجنوبية. فهي تقوم برسم لوحات على وجهها وجسمها باسلوب إيهامي مذهل. وعلى الرغم من أن فنها يبدو كما لو أنه تم باستخدام التعديل والرسم بالكمبيوتر، إلا أنه في الواقع لوحات حقيقية مرسومة على جسدها. انها تخلق مثل هذا الإيهام الكامل من عيون وشفاه ووجوه بحيث تجعل أي شخص ينظر إليها يحس بالدوار أو بالفزع. Can you tell which on is her real hand and which is painted? The kiss. 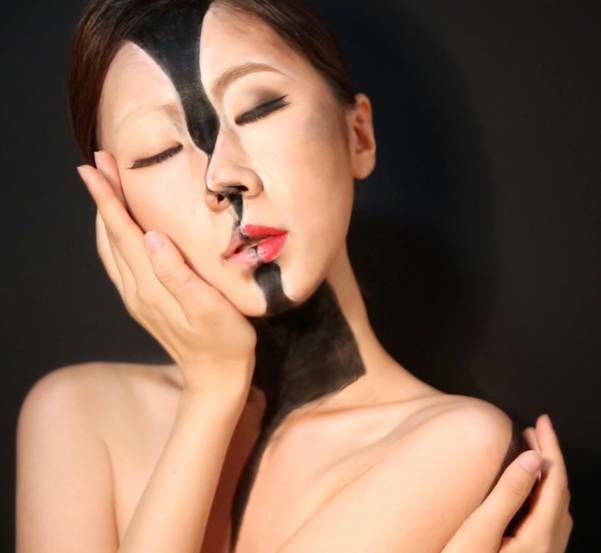 She painted her face to look like two persons kissing! القبلة. قامت بدهن وجهها بحيث يبدو وكأن شخصين يقبلان بعضهما! 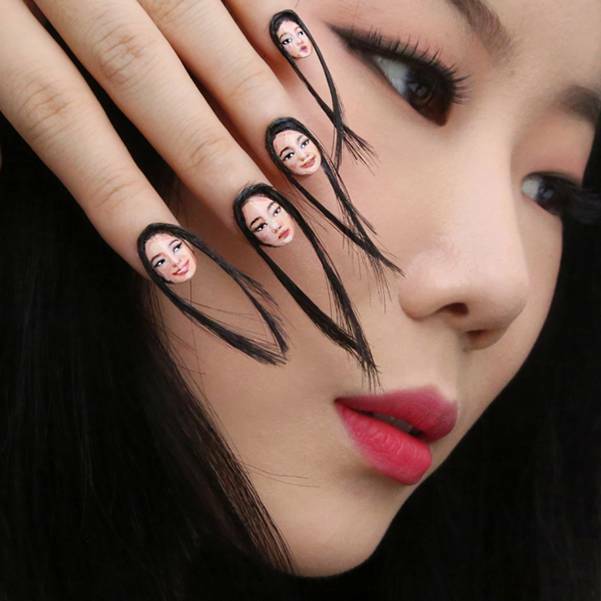 Grown up, each nail is a painting of herself at different age! تقدم العمر، قامت بطلاء كل اظفر بصورة لها مع تقدم العمر!